Mudrooms are typically not the first thing seen when you enter a home, they are usually placed at a secondary entrance such as a side or backdoor. They serve as a space to store backpacks, briefcases, keys, mail, and clean or dirty shoes. Mudrooms are a good way to stay organized and clean, but they don’t have to look like an extra dark and dirty space in your home. Monarch Design & Remodeling offers mudroom design services in Northern Virginia to provide you with a functional yet attractive storage room that serves all your needs. Facelift remodeling consists of making minor cosmetic changes, such as installing hooks and racks, giving your mudroom a new paint job, or changing the floor to tile or hardwood. Facelift remodeling will keep your budget low while also taking a shorter period of time than other renovating and designing projects. We can update all the aspects of your mudroom with pull and replace remodeling and design here at Monarch Design & Remodeling. If you have an old mudroom, or a very unattractive and disorganized one, we will update it to make it look brand new. Pull and replace remodeling will not require us to reconfigure any space in your home, only focus on the features in the mudroom. After getting this kind of remodeling done, you will have a great place to store your belongings and show off to guests. With full-scale remodeling, we will create an entirely new design plan that lays out a new outline of your space for a mudroom, and will include moving any walls you need to create the space. 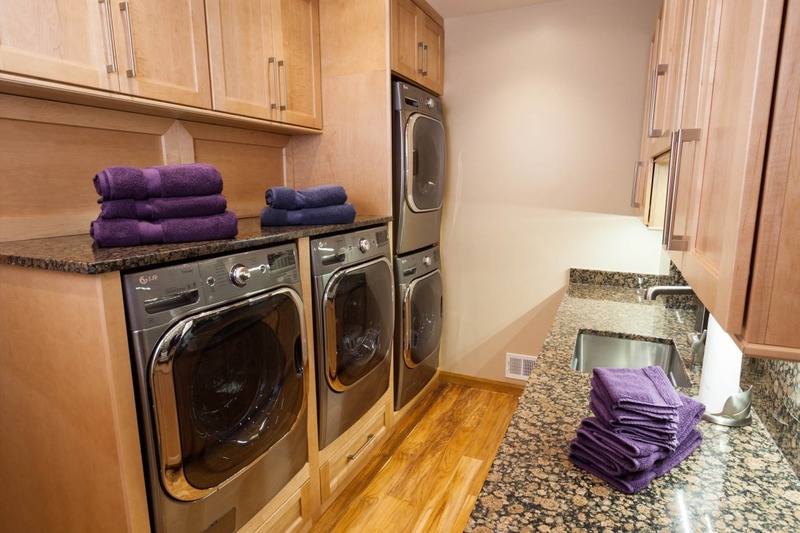 We will also offer updated features with our full-scale remodeling such as closets, benches, racks, cubbies, floors, and even sinks and laundry machines. We can accommodate any needs you have for your mudroom and make any adjustments necessary, depending on what you’re looking for. As a design-build company, we are here to create the home of your dreams. We handle every part of the design and construction process for you, so you don’t have to stress. Let us create the perfect design, come up with a realistic budget to fit your needs, and bring you all the materials to design and build you a masterpiece. Learn more about our process here. A mudroom may be a small feature in your home, but here at Monarch Design & Remodeling, we will transform this space into something bigger for your family: a perfect storage area for your everyday items. Whether you only need simple shelf or floor replaced, or full-scale remodel from scratch, we can build a new mudroom for you and your family to fulfill all your needs. Our design experts will ensure you have a space to be proud of, no matter how big or small. Create a trendy, functional, and efficient space in your home! Contact us today to begin your mudroom design in Northern Virginia today!